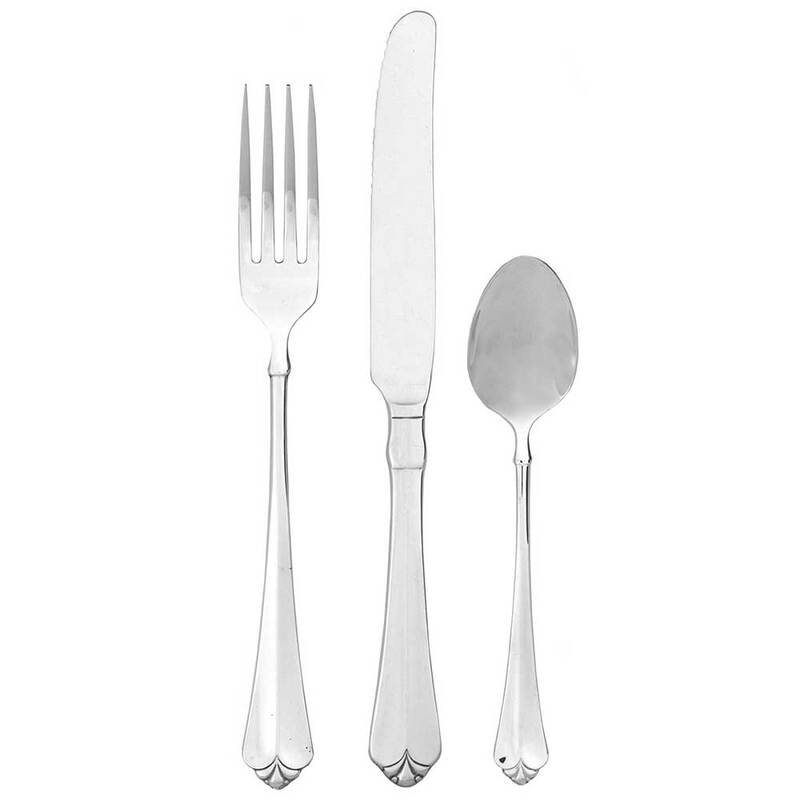 Oneida Juilliard flatware pattern is traditional in design, but offers a modern appeal. A perfect combination of style and symmetry, Julliard features a sculptured fleur-de-lis tip, and gracefully stylized handle. It is one of the most popular Oneida restaurant flatware patterns. 18% chrome stainless steel, and 10% nickel construction provides a superb finish and long lasting durability.